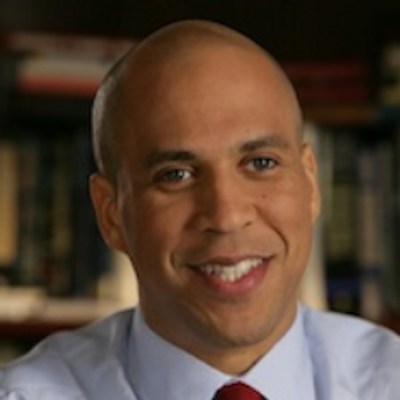 Policy incentives matter and have a profound affect on the innovative capacity of a nation. If policymakers erect more obstacles to innovation, it will encourage entrepreneurs to look elsewhere when considering the most hospitable place to undertake their innovative activities. This is “global innovation arbitrage,” a topic we’ve discussed many times here in the past. I’ve defined it as, “the idea that innovators can, and will with increasingly regularity, move to those jurisdictions that provide a legal and regulatory environment more hospitable to entrepreneurial activity.” We see innovation arbitrage happening in high-tech fields as far-ranging as drones, driverless cars, and genetics,among others. US policymakers might want to consider this danger before the nation loses its competitive advantage in various high-tech fields. Today’s most pressing example arrives in the form of potentially burdensome new export control regulations. In late 2018, the US Department of Commerce’s Bureau of Industry and Security announced a “Review of Controls for Certain Emerging Technologies,” which launched an inquiry about whether to greatly expand the list of technologies that would be subjected to America’s complex export control regulations. Most of the long list of technologies under consideration (such as artificial intelligence, robotics, 3D printing, and advanced computing technologies) were “dual-use” in nature, meaning that they have many peaceful applications. Just three days ago I penned another installment in my ongoing series about the growing phenomenon of “global innovation arbitrage” — or the idea that “innovators can, and increasingly will, move to those countries and continents that provide a legal and regulatory environment more hospitable to entrepreneurial activity.” And now it’s already time for another entry in the series! Aerial pizza delivery may sound futuristic but Domino’s has been given the green light to test New Zealand pizza delivery via drones. 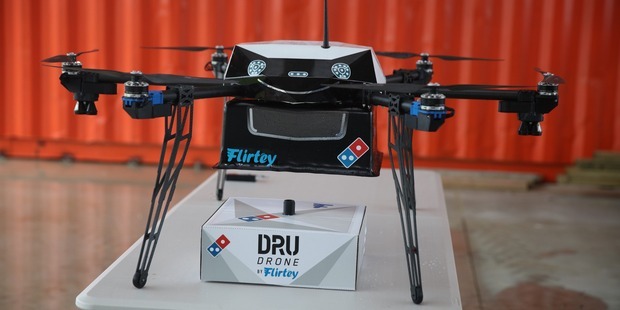 The fast food chain has partnered with drone business Flirtey to launch the first commercial drone delivery service in the world, starting later this year. In previous essays here I have discussed the rise of “global innovation arbitrage” for genetic testing, drones, and the sharing economy. I argued that: “Capital moves like quicksilver around the globe today as investors and entrepreneurs look for more hospitable tax and regulatory environments. The same is increasingly true for innovation. Innovators can, and increasingly will, move to those countries and continents that provide a legal and regulatory environment more hospitable to entrepreneurial activity.” I’ve been working on a longer paper about this with Samuel Hammond, and in doing research on the issue, we keep finding interesting examples of this phenomenon. “Spontaneous private deregulation” can be thought of as de facto rather than the de jure elimination of traditional laws and regulations owing to a combination of rapid technological change as well the potential threat of innovation arbitrage and technological civil disobedience. In other words, many laws and regulations aren’t being formally removed from the books, but they are being made largely irrelevant by some combination of those factors. “Benign or otherwise, spontaneous deregulation is happening increasingly rapidly and in ever more industries,” noted Benjamin Edelman and Damien Geradin in a Harvard Business Review article on the phenomenon. 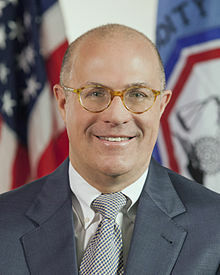 U.S. Commodity Futures Trading Commission (CFTC) Commissioner J. Christopher Giancarlo delivered an amazing address this week before the Depository Trust & Clearing Corporation 2016 Blockchain Symposium. The title of his speech was “Regulators and the Blockchain: First, Do No Harm,” and it will go down as the definitive early statement about how policymakers can apply a principled, innovation-enhancing policy paradigm to distributed ledger technology (DLT) or “blockchain” applications. The United States’ global leadership in technological innovation of the Internet was built hand-in-hand with its enlightened “do no harm” regulatory framework. Yet, when the Internet developed in the mid-1990s, none of us could have imagined its capabilities that we take for granted today. Fortunately, policymakers had the foresight to create a regulatory environment that served as a catalyst rather than a choke point for innovation. Thanks to their forethought and restraint, Internet-based applications have revolutionized nearly every aspect of human life, created millions of jobs and increased productivity and consumer choice. Regulators must show that same forethought and restraint now [for the blockchain].